Long time, no see. In fact, the last post was more than a year ago. So I guess it's official: I've made the list of super-lazy bloggers. Achievement unlocked. Anyway, there is nothing important in this update, just wanted to let you know that I'm still alive. 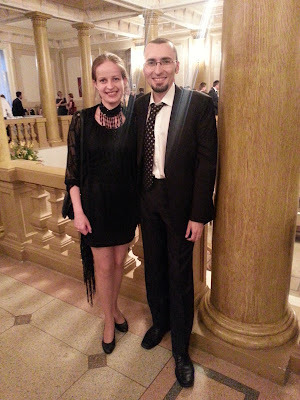 A few days ago I even had a brief surge in my virtually non-existent social life: Diana received an invitation to a Jazz concert along with her husband, who happens to be me, so we went there together, all dressed up to the code. 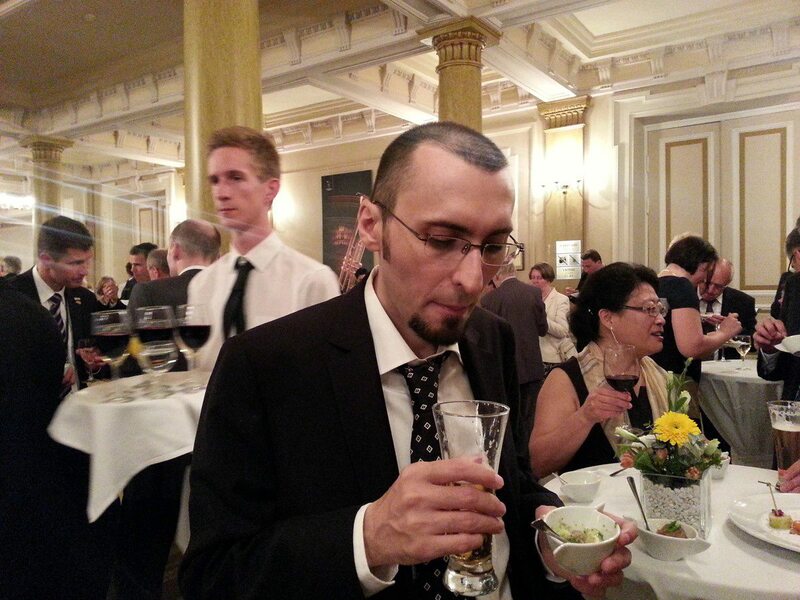 The concert was performed by the German State Jazz Orchestra (BuJazzO) and it took place at Vilnius Philharmonic Hall. It was an official event, organized by the German government and attended by the presidents of Germany and Lithuania. So, naturally, the band started with the anthems of Lithuania, Germany and the European Union. I really liked the Jazz arrangement of the Lithuanian anthem. The original is an uplifted, but rather calm march, and what the band played was some crazy-heroic-viking-jazz version of it, with heavy drums and stuff. Really goosebumping. In fact, the whole concert was mind-blowing. It was diverse, bold and thoroughly enjoyable even for someone like me, who is far from being a Jazz fan. There was a little surprise in the middle of the concert, too: the Mayor of Klaipeda performed "What a Wonderful World" and he not only played remarkably, but also sang in trademark Armstrong growling style, spot on. I don't have any concert photos, but I have a couple of shots from the after-party with me and Diana. Look at us, all shiny and happy. And here's me, contemplating over a glass of beer.